Risk Less and Prosper-Is Conventional Investing Wisdom Wrong? Zvi Bodie and Rachelle Taqqu authored the revolutionary Risk Less and Prosper book about life cycle investing. 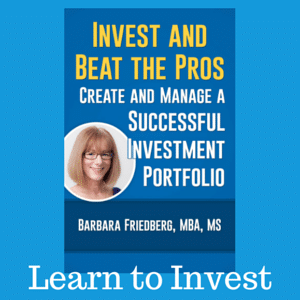 This book flips conventional investing wisdom on its head and begins the investing conversation with your goals. 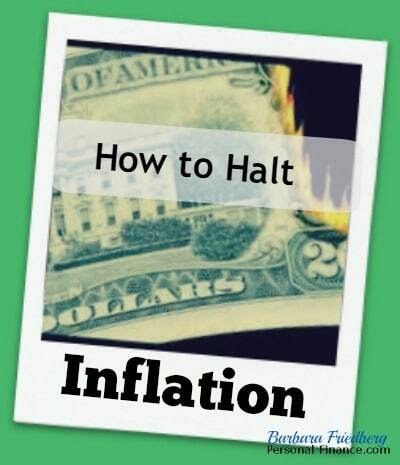 The authors continue the discussion with ideas to protect your precious capital from the ravages of inflation and from the volatility of the financial markets. Conventional investing advice recommends choosing an asset allocation, for example 60 percent in stock index mutual funds and 40 percent in bond mutual funds, and regularly transferring money from your paycheck into these funds. This strategy assumes that in spite of the ups and downs of the investment markets, when its time to retire, you’ll have a nice nest egg saved up to supplement social security. It sounds nice and easy; actually, I’m a big proponent of the traditional approach. So, what inspired me to bring up this topic which is contrary to the traditional investment ideas promoted on this website? 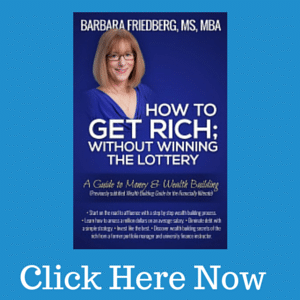 Click here for How to Get Rich: Without Winning the Lottery. Ebook on sale for $.99 for a limited time. What if you devised an investment plan that was likely to meet your basic living expenses? And instead of allocating lots of money into stock market investments, you decided to save up the minimum you require in retirement and kept those funds safe and secure from the ravages of inflation? Conventional investment advisers recommend targeting an amount of retirement dollars and using historical stock and bond market averages to project into the future how to reach that goal. The problem with this approach is that historical returns may not continue into the future. Not only that, but what if you want to retire at the same time that the stock market experiences a cyclical decline in value? In both cases, your retirement dollars will fall short of your minimal living standard. Life cycle investing protects against the worst case scenario, living longer than your money. Consider the income from your job, both now and in future years. Tally it up and you may be surprised at the total. If you make $50,000 per year and expect to make that amount for 40 years (a rather simple example), you’ll earn $2,000,000 during your lifetime. That’s an example of your human capital or earning power. Your lifetime goal is to transfer some of that money from your earning years into the future, when you won’t be earning. Simply put, smooth out your cash flow so that you can reach your current and future spending and lifestyle goals. What is the Minimum Cost of your Future Living Expenses? 1. Calculatie the minimum cost of your retirement lifestyle. With zero interest rates don’t worry about adjusting these numbers. 2. Estimate how much you expect to receive from pensions and social security. 3. Find the difference between your minimum lifestyle expenses and your income, and those are the minimum funds you need for retirement. By focusing on the estimated costs of living in the future, you have a realistic idea of how many “safe dollars” you’ll need during your retirement. Protect these dollars from inflation and you have a plan to meet a minimum standard of living. If this number is greater than you currently save, consider working a few years longer or saving more. Any additional funds can be allocated to risky investments such as stocks or real estate funds. This approach attacks the problems with traditional retirement investing; your historical returns are too low or you retire during a recession or downturn in the stock market. Where to Place your Safe Investment Dollars? I’ve written previously about the importance of inflation protected investing. In today’s investment environment with historically low interest and inflation rates, it may seem unimportant to worry about inflation. Yet, even a low 2 percent annual rate of inflation can reduce the purchasing power of $100 to $54 over 30 years. The underlying premise of preserving your purchasing power and lifestyle from your working years into retirement is grounded in the theory that your safe dollars will cover your living costs into the future. Treasury Inflation Protected Securities and Government I Bonds shield your purchasing power against inflation. Invest your savings in these two investments and protect your minimum standard of living throughout your lifetime. With today’s low interest rates, Government I Bonds pay 1.94% though October, 2014. This is up a bit from the April, 2013 rate of 1.76%. The beauty of I bonds is that the return adjusts every 6 months to account for changes in inflation. When inflation increases, so will the return on I bonds. Buy $10,000 (the maximum amount allowed by the government) of I bonds annually over your working life and at the end of 40 years, you have $400,000. This $400,000 is adjusted for inflation and is not subject to the ups and downs of the stock market. Use these funds along with social security to cover your minimum required expenses. Any additional savings can be invested in the stock market without fear of outliving your minimal retirement expenses. Can’t Get Enough Inflation Protected Investing? Have you invested in Government I bonds or TIPS? What’s your investment strategy for retirement planning? Although I have invested in TIPs, it is for preservation of capital only. When I look at my asset allocation, I have to consider Social Security and my pension as part of my fixed income portion of my investments. Therefore, I am willing to take a little bit more risk with my investments. My wife and I were just discussing this. One of my financial advisory clients is interested in going this route. We saw many people (try to) retire during the worst of the recession, only to be pulled back into the workforce by the extreme plunge in their 403b and 401k accounts. Safe(r) alternatives are great in this financial climate. @Krantc-That’s the key, cover your basic needs with safe investments and then you can afford to take risk with the rest. 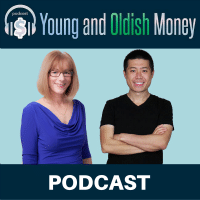 @Wayne-The scenario you mention, retiring during a recession when one’s investment portfolio is down in value, is very scary and may have an impact on one’s long term lifestyle in retirement. That said, there’s no one strategy fits all, for investing. Since you don’t know what the market will do when you “retire” it is important to establish multiple streams of income today that can pay when you quit work. @Brent-Thanks for bringing up that important idea. Multiple streams of income provide an important cushion throughout one’s life. I’m a fan of Risk Less and Prosper. I think the ‘conventional wisdom’ about investing is a product wholly of the very effective and high powered Wall Street marketing machine. Virtually every stock investing truism you can recite is rooted in what’s good for the money managers, not what’s good for the retail investor. I think stock investing is far riskier–especially today, vs. say 20 or 30 years ago–than most Americans believe. @Kurt, I agree that stock investing has underlying risks that many investors don’t realize. For example, what if your portfolio drops 20% the first year you retire. But, I don’t think all investing wisdom is furthered by Wall Street. Buying and selling index funds does not make much money for financial professionals. I take more risk with my portfolio than others since I have some rental property. I consider this to be my real estate as well as my bonds. I haven’t read Risk Less and Prosper, yet, and have typically used the “old” asset allocation model using the appropriate ratio of stocks/bonds for our age. I have always been a big proponent of low inflation risk for the bond portion of my assets. I buy the max allowable in i-bonds each year. @Jon, Sounds like you’ve given some thought to your assets and personal asset allocation. Clearly, there is no one correct asset allocation and some folks have a greater risk tolerance than others. @Bryce, Congrats for hitting the limit with the I bonds. They are the perfect investment to protect your capital against inflation risk! (Do I sound like a broken record? Wow, they don’t even make records any more!) You need to watch out for the impact of rising interest rates on any bond funds value. Longer term (holding longer maturing bonds)bond funds will decline more than shorter term funds with an increase in interest rates. Interesting approach, although I would feel a bit insecure using it, since it relies on saving and investing the minimum amounts necessary to have enough income during retirement. What if you underestimated your needs? What if something happened to you and your medical expenses skyrocket? I’d rather overshoot my target and go for the maximum possible. Very interesting strategy and explanation. But I think I’d rather be safe than sorry. I can sympathize with those who want to save the bare minimum for expenses they may or may not have in the future. I know I’d like the money right now too! But what if your model is wrong? Traditionally we as humans are pretty bad about predicting the future. I think I’d just stick to using an Index Fund and saving as much as possible. If I end up with more money in the end, then great!